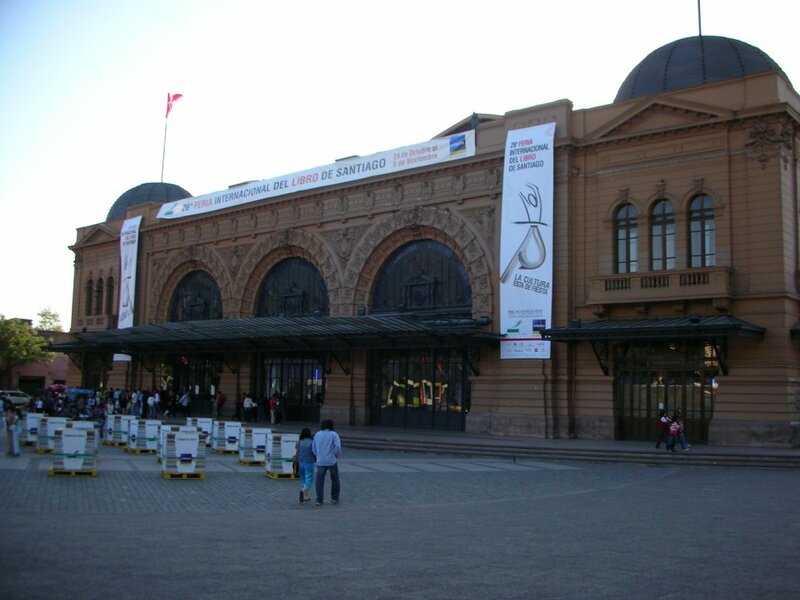 This is the Mapocho Station Cultural Center. It was built between 1905 and 1912 and served as a train station until 1987 when, due to its state of deterioration, it was closed. The works of restoration ended in 1994 and the train station was re-opened as a Cultural Center. An interesting and beautiful aspect of the restoration is that the roof of the building is now covered in copper, to reflect the importance of Chile as the worldwide leader in copper production. tres belle photo. l'architecture est magnifique. very beautiful photograph. architecture is splendid. I'm so glad that they restored this beautiful building. I didn't know your country led in copper prodution. Great information! Do you know if the roofs were copper to begin with?